The movement was formed by 16-year-old Swedish activist Greta Thurnberg, who launched weekly "school strikes for climate" beginning last November. 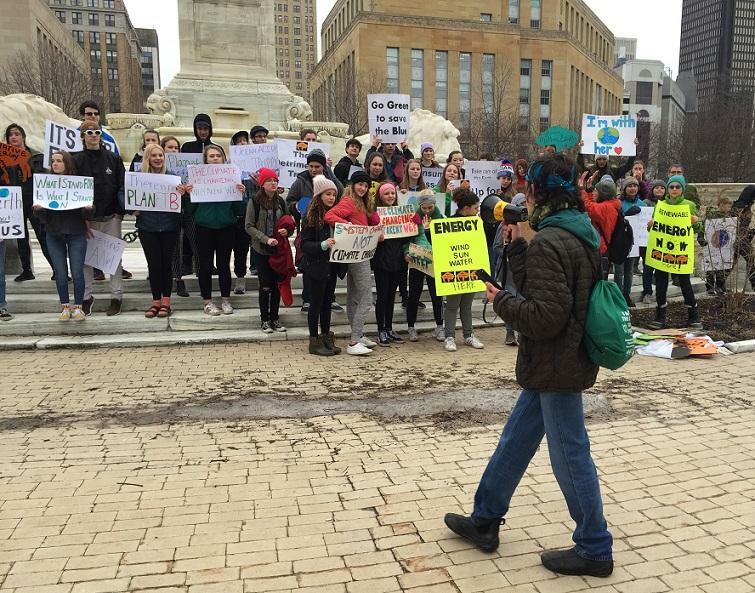 Ilyas Khan, a City Honors student, addresses fellow students who gathered in Buffalo Friday as part of a Climate Strike. "We've got some folks here from places as far away as Lockport and East Aurora," said Ilyas Kahn, a 14-year-old student at City Honors. "They came all the way here just to be here at City Hall, standing with us striking. It's amazing." In Buffalo Friday, the weather was a chilly reminder of the month of March. But students recognized how colder weather is used by skeptics and critics to dismiss "global warming." "Weather and climate are different," said 11-year-old Ariel Braverman, a student at City Honors. " Climate is the overall change of temperature, like 12 years." That's the time, speakers warned, when the first irreversible adverse effects of climate change could some if leaders do not take sincere actions now. Among the students' demands are the phasing out of fossil fuels, updating the electric grid, preserving public lands and wildlife, protecting and ensuring the cleanliness of water supplies and declaring a national emergency on climate. 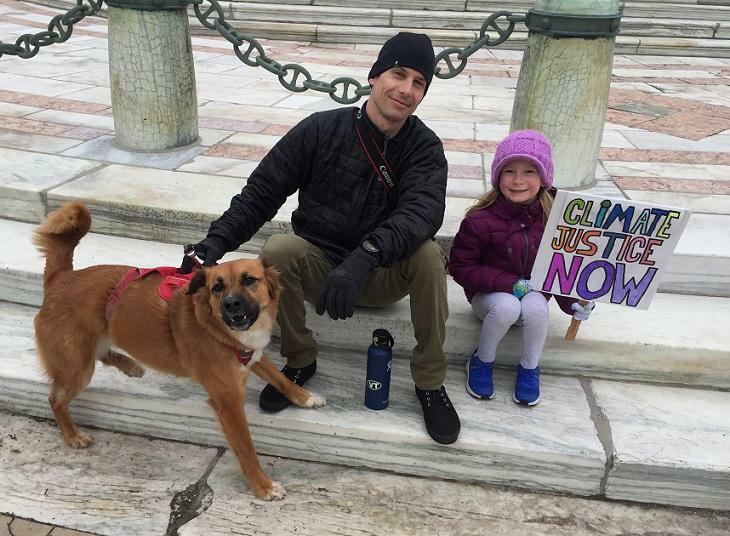 Zoie, a second-grader, sits with her father Rich and her dog Molly in Niagara Square Friday, during the Youth Climate Strike. "A big part of moving forward in our movement is higher climate change education in the younger grades, so we can learn that climate instability is a part of climate change," said Daniel Pyskaty, a student in the Starpoint School District. Among the younger students present for the rally was Zoie, who is in second grade. She said climate change is discussed "a lot" in her classroom. She was asked how her teacher discusses it. "He tells me about how people sometimes litter and sometimes people try to change that." Her father, Rich, was at her side as they, and their dog Molly, sat away from the older students but by her sign made clear they were among those present to demonstrate. Rich spoke about the need to respect young people's voices. "You're supposed to leave the world a better place than you have it. I don't think we're really doing that," he said.